Architecture is something that will always be changing. New ideas and innovations are being brought to light and to fruition with each new year. Generations are going to dictate what they want to see in the coming years of architecture. This year is projected to be the year of the Millennials, a generation built on “smart” technology, energy efficient homes, and green buildings. Fast Company published an article on 5 Trends Shaping the Future of Architecture. It focuses on how architects expect the field of architecture to change in the future. The article 2016 Green Design Predictions by Inhabitat focuses on “what 2016 will hold for green design and the environment.” The article centers on architects and environmentalists alike as they voice their predictions for 2016. The article Skyscrapers to Spaceships: The Coolest New Buildings in America touches on rapid changes in Architecture. Each building featured is an example of how architects are building taller more energy efficient buildings. 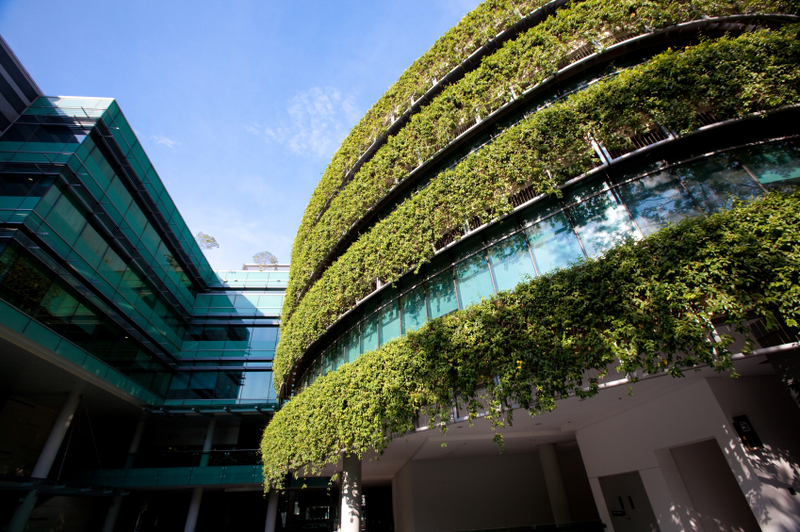 Around the world, architects are pushing the limits of what it means to build green. Some architects take the term building green quite literally, in this article on 12 Architect who built houses around trees instead of cutting them down. This entry was posted in Architecture and tagged Green Energy, high-performance, Smart, Technology.